Seaweed Extract based Liquid Bio Extract Organic Fertilizer Input is manufactured from the careful extraction of natural vegetable seaweed in presence of lactobacilli animal origin products, vegetable decay products, enzymes to yield liquid Vital Bio extract organic fertilizer input having excellent bio-nutritional properties which provide organic carbon, carbohydrates, polysaccharides ,organic matter for better nutrition of plants in various stages of plants. 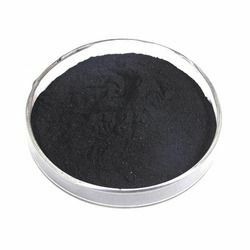 Concentrate Liquid - Seaweed Extract based Liquid bio extract organic fertilizer input is also available as in Concentrated Liquid for the Domestic Indian market. Seaweed Extract based Liquid & Concentrate Bio Extract Organic fertilizer Input & Soluble Powder is useful for formulating plant nutrients ,organic fertilizers, organic biostimulants, soil conditioner granules formulations. Liquid Seaweed Extract based Bio Extract Organic Fertilizer Input : Rs 95/ Litre.